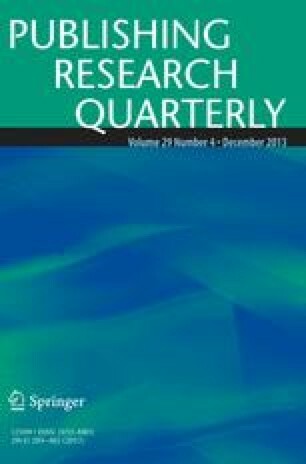 This study first reviews the writing of the management theorist Kenichi Ohmae, before assessing the potential application of his theory of global commercial maturation to the strategies adopted by the academic publishing company, Routledge, and its precursor imprints between 1960 and 2013. Based on the analysis of interviews carried out between 2011 and 2013 and supporting document analysis, the paper concludes that, with some caveats, the stages of globalization identified by Ohmae are of considerable explanatory value for students and analysts of global publishing as well as offering strategic insights to managers of academic publishing houses. I would like to thank the many former colleagues and current senior members of staff at Routledge/Taylor & Francis and its predecessor companies, without whose generous and consistent support this study would not have been possible. Business Breakthrough Ltd. Home page, Kenichi Ohmae Graduate School of Business [Online]. Available: www.ohmae.ac.jp. 12 Aug 2013. Campbell L. Alarm at textbook price hikes. Bookseller [Online] (12 Aug). Available: www.thebookseller.com/news/alarm-textbook-price-hikes.html. 2 Sep 2013. Castells M. Informationalism, networks, and the network society: a theoretical blueprint [Online]. In Castells M (ed.). The network society: A cross-cultural perspective. Northampton: Edward Elgar. Available: http://annenberg.usc.edu/Faculty/Communication/~/media/Faculty/Facpdfs/Informationalism%20pdf.ashx (2004). 12 Aug 2013. Flood A. High street shops turn fire on Amazon’s tax avoidance: indie booksellers advertise their tax returns in dig at online giant’s alleged use of tax havens. Guardian [Online]. Available: http://www.guardian.co.uk/books/2012/nov/20/high-street-shops-amazon-tax (2012, 20 November). 12 Aug 2013. Ietto-Gillies G. Globalisation: an analysis of theoretical perspectives and dominant causes [Online]. Available: http://bus.lsbu.ac.uk/cibs/sites/bus.lsbu.ac.uk.bus.cibs/files/24-00.pdf (2000). 14 Aug 2013. Inflibnet. About Us, Inflibnet, Information and Library Network Centre [Online]. Available: http://www.inflibnet.ac.in/about/ (2013). 10 Aug 2013. Leigh Bureau. Kenichi Ohmae: global strategy, Leighbureau.com [Online]. Available: http://www.leighbureau.com/speaker.asp?id=111. 12 Aug 2013. Ohmae K. Global talent and global prosperity, Global HR Forum 2006 presentation. YouTube [Online, Video]. Available: http://www.youtube.com/watch?v=Y9hwsGTRn6Q (2006). 18 Aug 2012. Ohmae K. Kenichi Ohmae YouTube Channel. YouTube [Online]. Available: http://www.youtube.com/channel/HC-W_rSrFmyso; 2013. 8 Aug 2013. Ohmaebot. @ohmaebot. Twitter [Online]. Available: http://twitter.com/search?q=%40ohmaebot&src=typd (2013). 8 Aug 2013. Routledge. Home page [Online]. Available: http://www.routledge.com/; 2013. 12 Aug 2013. Routledge. Articles in the Europa Category, Reference Blog, Routledge [Online]. Available: http://www.routledge.com/reference/blog/category/europa/ (2013). 10 Aug 2013. Routledge India. Routledge India Originals: Making ideas travel worldwide, Routledge India [Online, Powerpoint presentation, cached]. Available: www.routledgeindia.com/.../Routledge%20India%20Originals%202.ppsx; no date. 10 Aug 2013. Routledge India. Routledge India Originals Catalogue 2013 [Online]. Available: http://www.routledgeindia.com/pdf/E.%20Routledge%20India%20Originals%20Catalogue%202012.pdf (2013). 10 Aug 2013. T&F. Home page [Online]. Available: http://www.taylorandfrancisgroup.com/ (2013). 12 Aug 2013.